A medium-sized specialty chemical company wanted to strengthen their position versus their competitors in a crowded, over-supplied product area. Here is how a unique and comprehensive competitive intelligence program enabled that company to monitor its competitors and win in the marketplace. The Client was in a serious fight to maintain or grow its business. Battles for market share resulted in lost revenue and profit that threatened the long term viability of the client’s operation. The Client needed a method to anticipate actions by their competitors, as well as an on-going process to monitor competitor’s capabilities and motivations. Most importantly, the Client needed a means to analyze new information and adjust its response based upon what was observed. 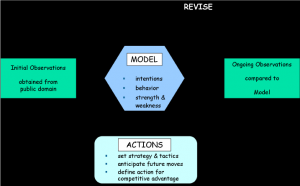 TERMINE GROUP designed a unique methodology to aid the Client in modeling their competitor’s strengths and weaknesses, sales tactics and strategic intentions. The method involved starting with information taken from the public domain to set an initial model of the competitor’s behavior. The initial model is then refined by collecting additional information continuously, and revising the model appropriately. 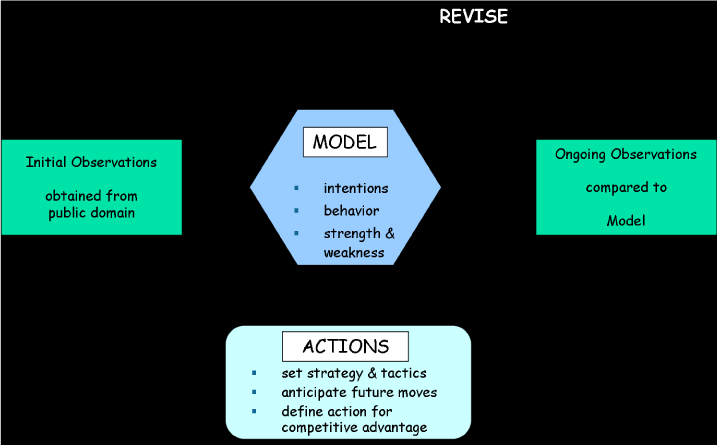 Information gathered in this iterative process sets strategy and tactics to respond to or anticipate the competitor’s moves. The on-going process helped the Client take decisive actions to improve their advantage against its competitors. Additionally, the Client leveraged its investment by incorporating the newly developed competitive intelligence program into its culture, thereby providing a framework for everyone to be proactive in marketing and planning.